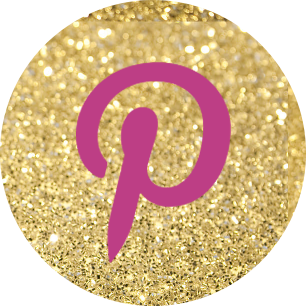 The circus never goes out of style, which is why the theme is perfect for birthday parties. 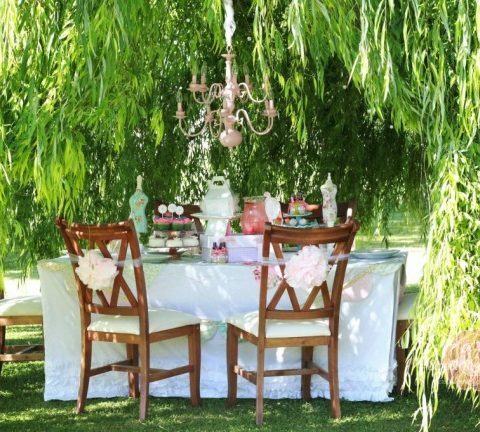 Here are a few big top ideas to make the day a memorable one. 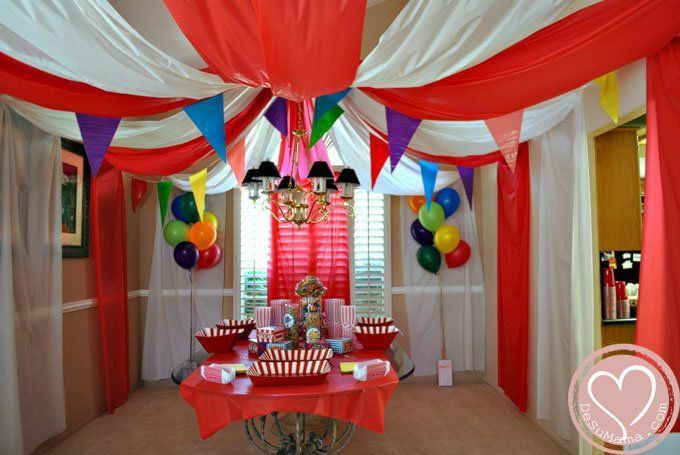 Create the big top in your kitchen or dining area by hanging red and white disposable tablecloths from your ceiling. Alternating the colors will give the space that big top look and feel. If you’re holding the celebration outside, then paint a big top tent on a big sheet of canvas or cloth. 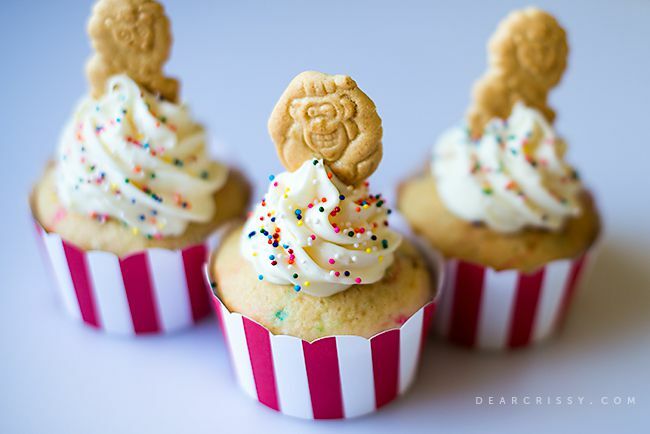 Use circus animal cookies to decorate cupcakes. Not only are they tasty and perfect for your circus theme, but they also make decorating easy. 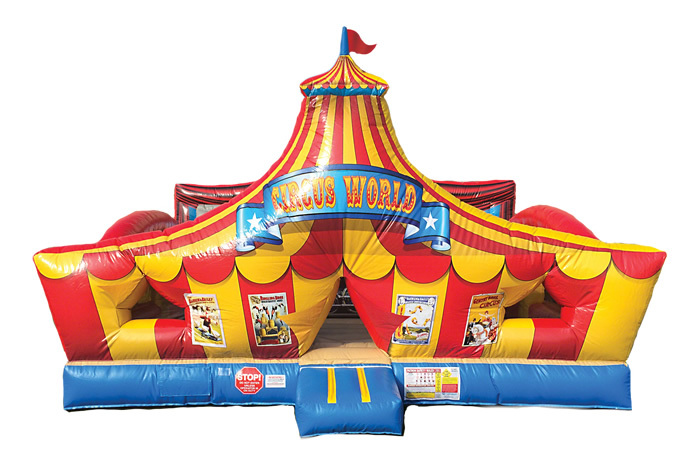 Instead of hiring a clown or someone who makes balloon creations, set up a few carnival games for the entertainment. Suggestions include a ring toss, milk bottle throw and gold fish win. 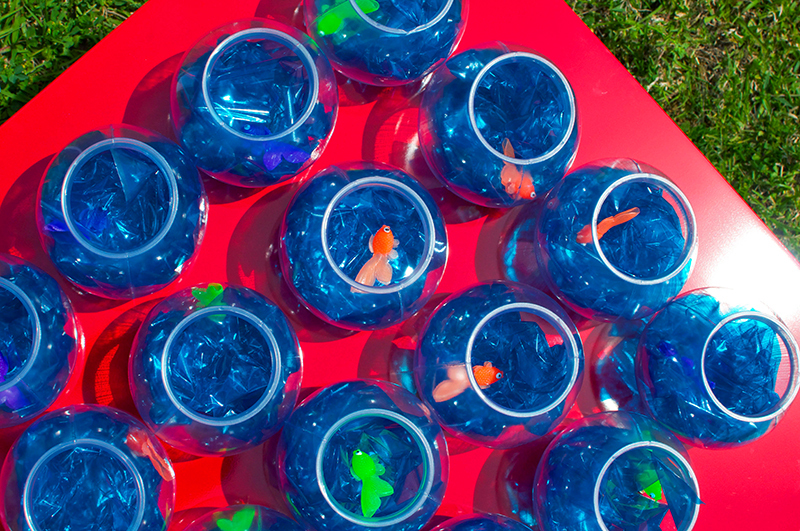 Since you won’t want to give out live goldfish, make them by adding plastic toy fish to clear Jell-O in sandwich bags. 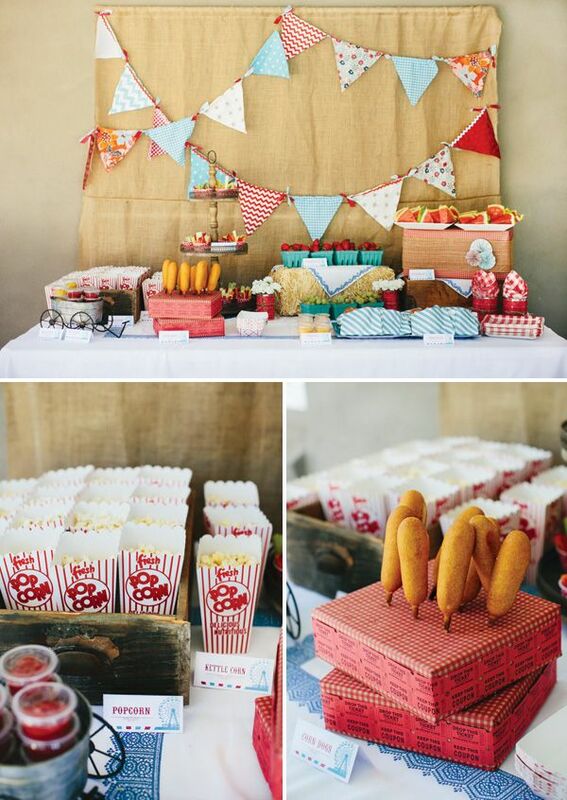 With a big top circus theme, party favors are easy. Fill small popcorn containers with balloons, a clown nose and fake tattoos. Fun circus themed party favors are available from Big Dot of Happiness. 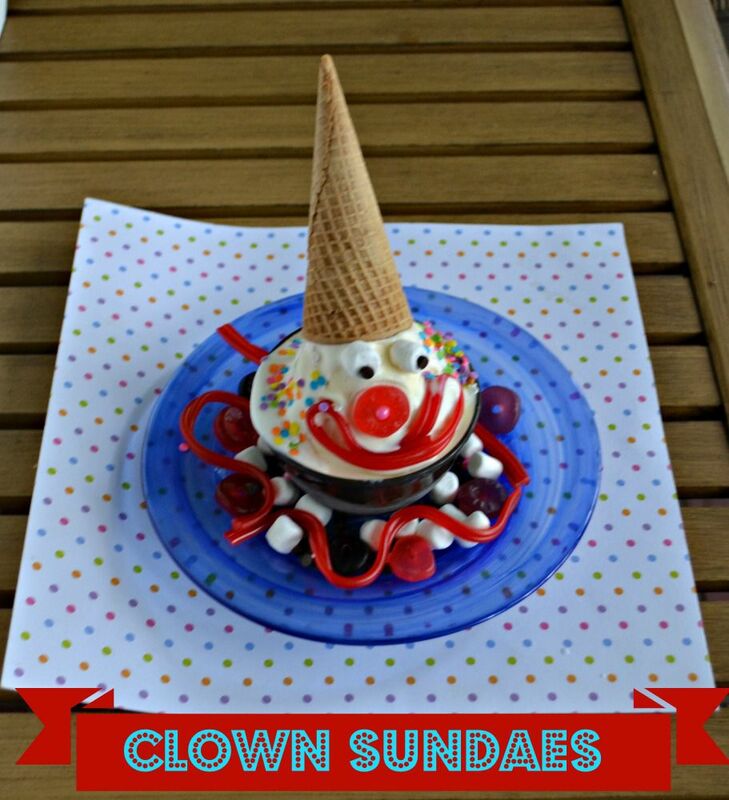 Let the party guests make their own circus themed sundaes. Sugar ice cream cones become great clown hats while marshmallows, sprinkles and licorice are ideal for adding fun decorative details. 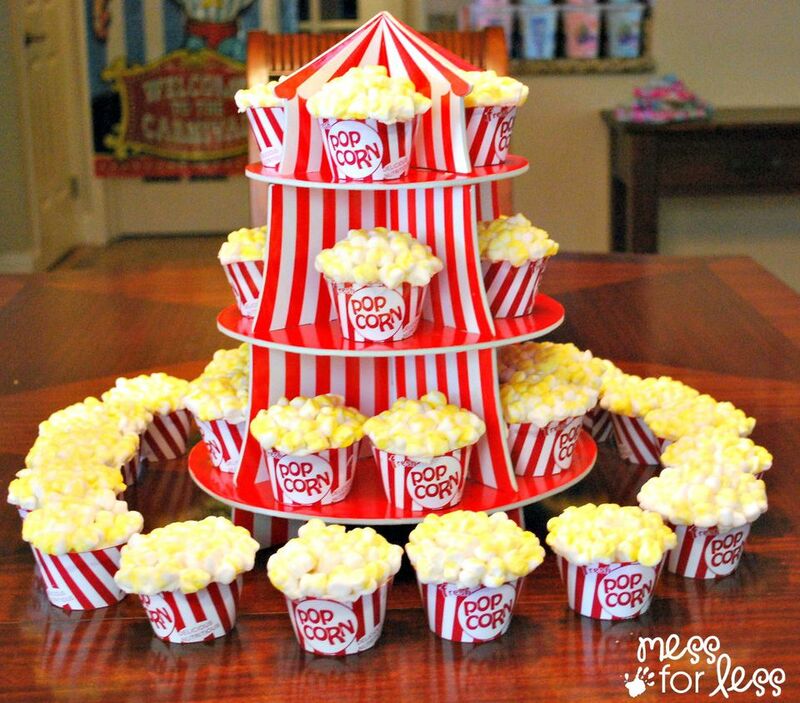 Popcorn is a major part of the circus, so why not make it the main theme with popcorn shaped cupcakes. Not only is the tasty treat an awesome substitute for a full-size cake, but you can also use them as a party favor. Kids love jumping around together in bounce houses. Along with inspiring giggles, this activity will work to offset any sugar highs resulting from too many sweets. When it comes to food, the carnival theme makes it easy. Serve corndogs, French fries and funnel cakes. Those in attendance are sure to delight in dining on the tasty, albeit greasy, cuisine. For unique party cups and plates, shop at beaucoup. Ideas one, two and five are from The Spruce. Suggestion three can be found at PartyCheap. Ideas four, six, seven, eight, nine and ten are from Birthday in a Box.